Some great new matches over the fall/ winter - Emily Ferron and Oleta, Abby Bates and Last Cal (Dilon)l, Ava Ward and Jedi (Jax), and Allison Burns and Cirrus. Meanwhile, Claire Zopolis and Cory are a great pair together and Claire has been teaching the ropes the one of our rescue ponies, Red. 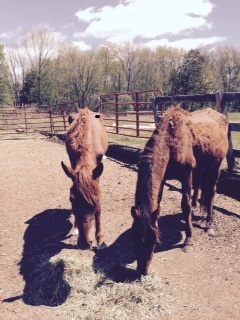 4 year old Red is making great progress under Claire's patient tuturing.Leon loves Beth Bracken and Beth is also making strides with ground handling the other rescue pony,Dustin. Wishing all ﻿our friends and clients﻿ Peace on Earth and Best wishes for a wonderful holiday season and a new year filled with peace and happiness﻿. 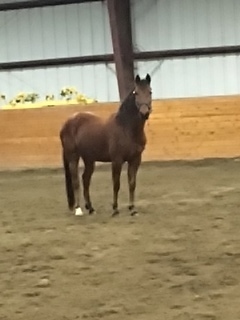 Congrtulation to Emily Ferron on her half lease of Jedi. 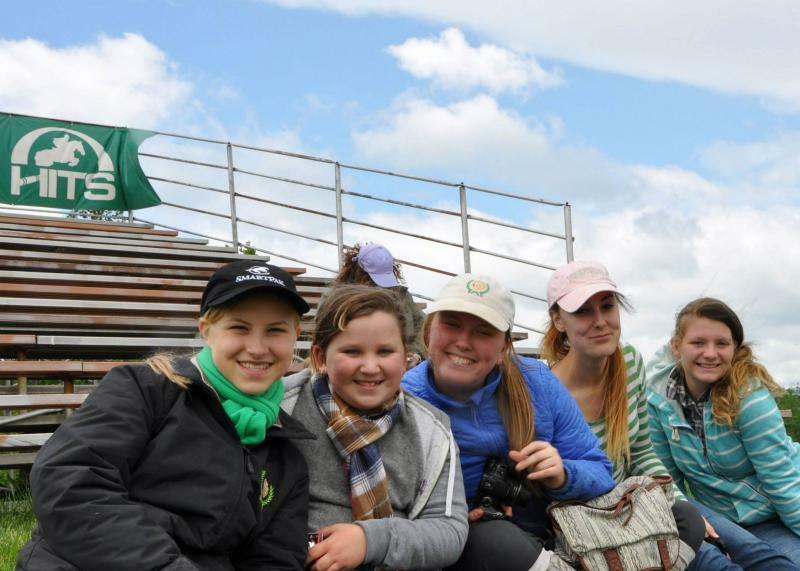 See the CHSA page for 2015 placings! All our entries won Ribbons! Out and About "Liam" won the Silver Stirrup Pre-Green Championship at MVHC. Kristen met up with Leah Cothran and introduced her to Laura Chapot at HITS 7/21. Great lesson for both with Laura. Fun trip to the beach with the horses after a busy weekend. Royal loved swimming! 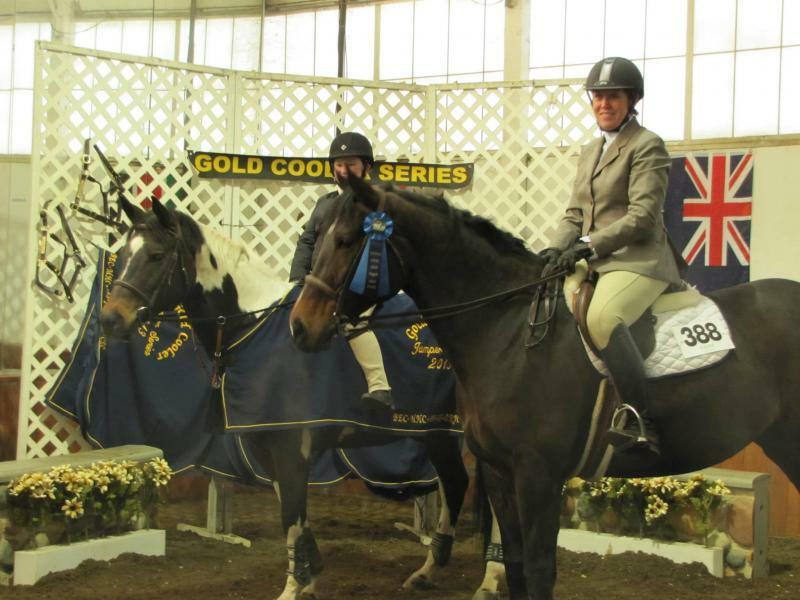 Reina Willhide was Children's Equitation Champion at both Sweetwater and Fox Crossing. Out and About was reserve Champion in 2'6" hunters. ﻿﻿Susan Parrotta was 2nd in the CHSA Adult Modified Medal at Sweetwater and third at Fox Crossing. Erica Cosenza and Francesca won Reserve Championship Training Hunter 2'6". Fall at Old Salem Farm was a great experience. Reina Wilhide riding Jedi were second and eighth in the M&S Bit O' Straw. 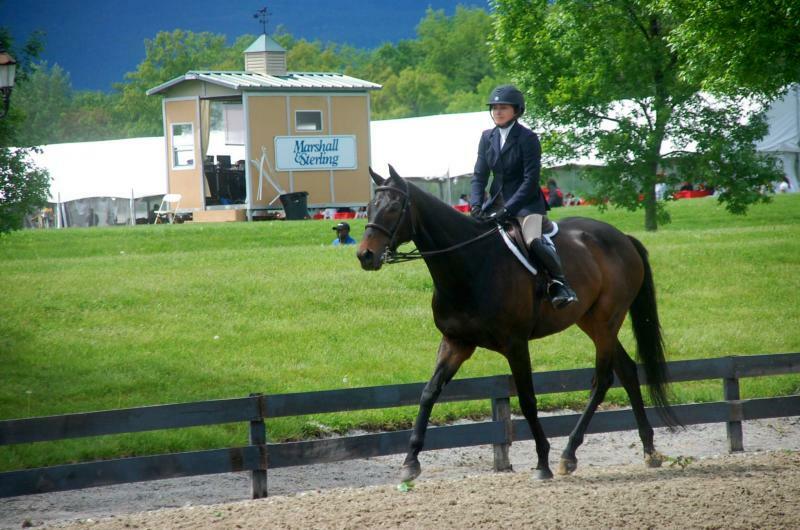 Alison Burns on her Graf Grandeur had stellar rounds placing in classes (a 4th and more) with 30 + horses. 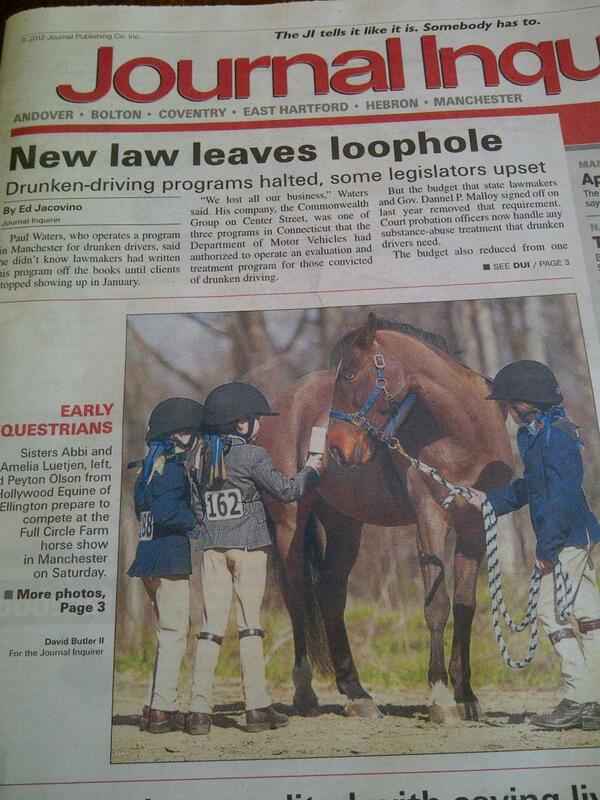 Great riding ladies. 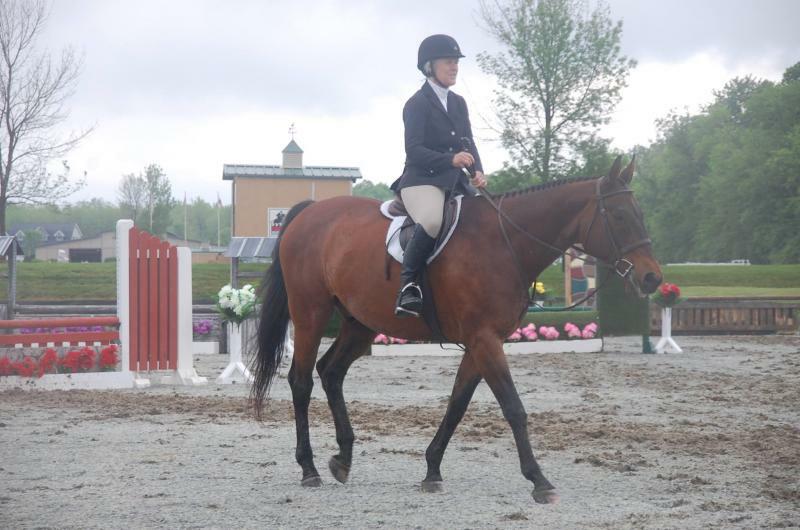 Congratulations to Reina Willhide on her puchase of the special Durch Warmblood, " Chance of a Lifetime". This is a spectacular match. Looking forward to watching their partnership grow and all their future accomplishments. More jumper fun- Congratulations to Ty Slattery on her riding and great placings on Storm Large at Crosswinds Spring Show Jumping Classic. Also congrats to Rohan , owned by Alison Burns and Francesca, owned by Erica Cosenza . Two super horses. 3-17-14 What a winter! It's the middle of March and still freezing!. 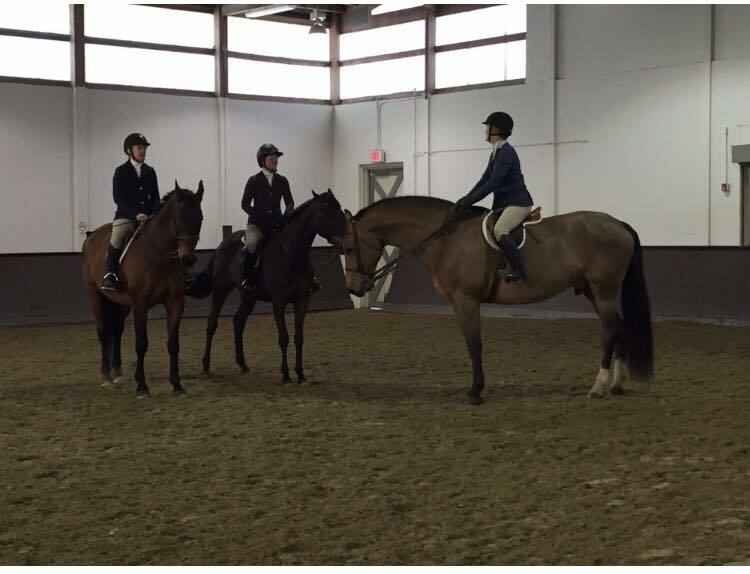 Our Clinic with Holly Mason in Dec was so educational that she has been coming to the barn monthly to give dressage lessons. She will be here again at the end of April. Sign up with Kristen. Ship ins are welcome also. 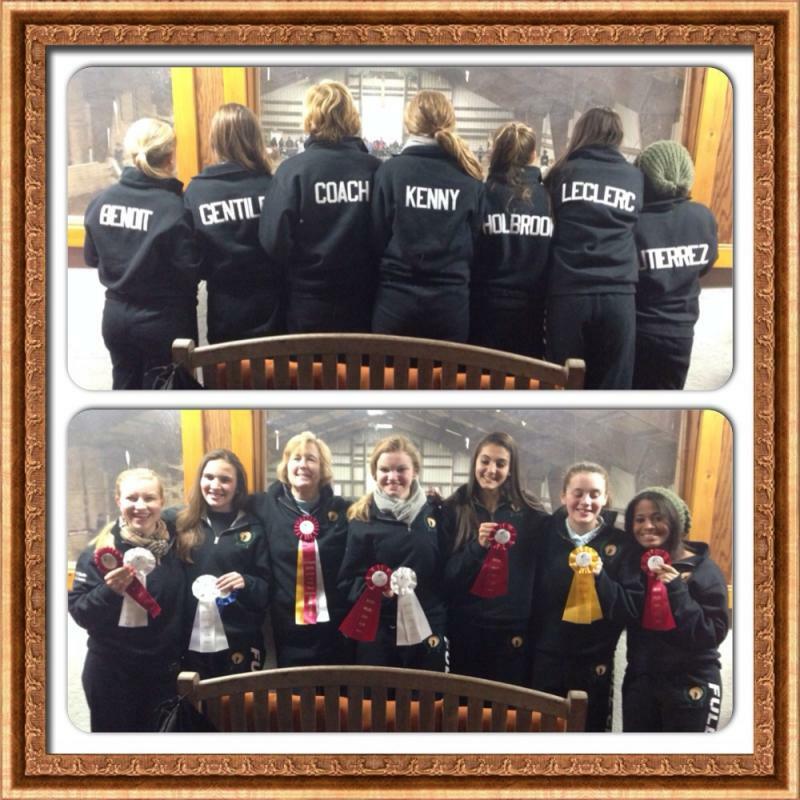 Our IEA team had a fantastic season and we are so proud of their accomplishments. Three of our riders qualified for Regionls with the two missing by one point. Congrats to Brianne Guiterez on her 6th place at regionls! We are looking to expand our team, so if you would like tto join for the next season, contact Leslie. 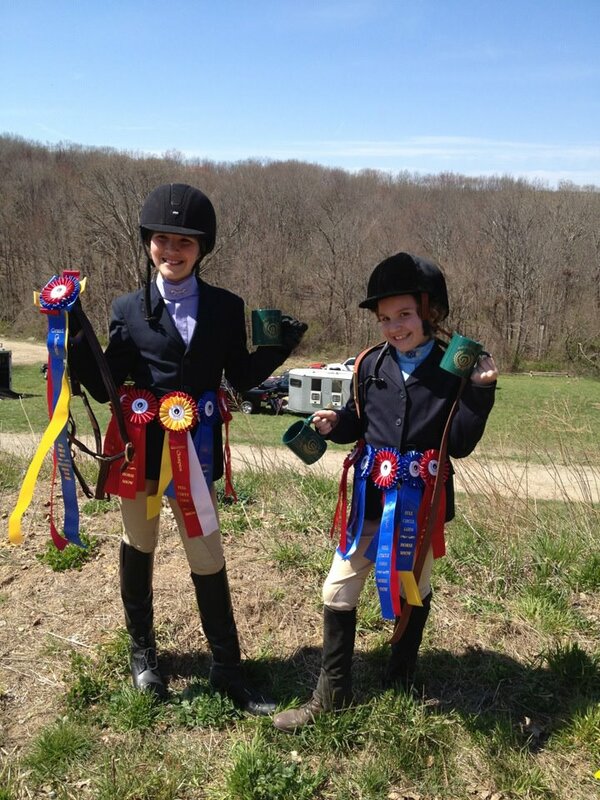 Congratulations on their reserve championship at the Mystic Valley IEA Show . Full Circle Farm - 2013 Reserve Champion "The Battle of the Barns" at the 81st CHSA Celebration of Champions Gala﻿. Thanks for the contributions ! Congrats to Solene on her Reserve Championship in Adult Modified Eq and 4th in Adult modified hunter! Thanks to all who came to celebrate with Solene. 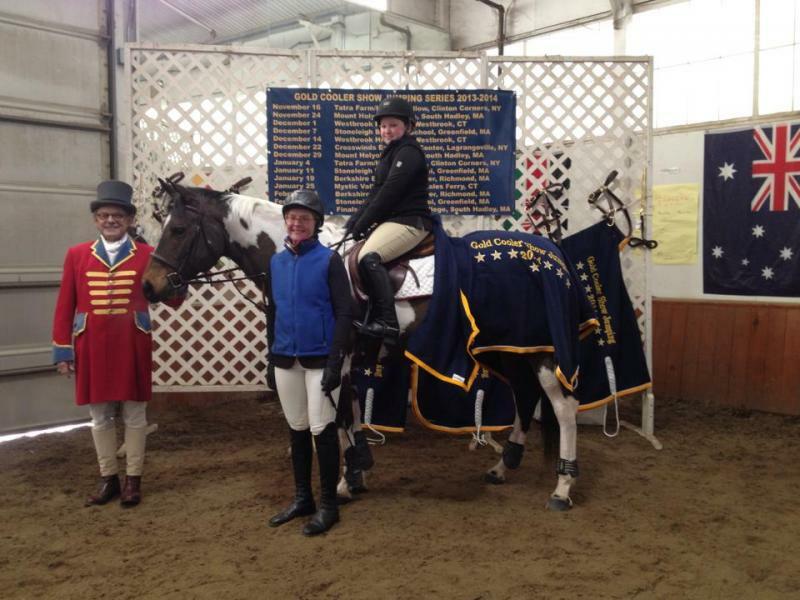 The Dec 29th Gold Cooler Jumper Show﻿ at Mount Holyoke College was succesful competition for Kriasten and Ty Slattery. 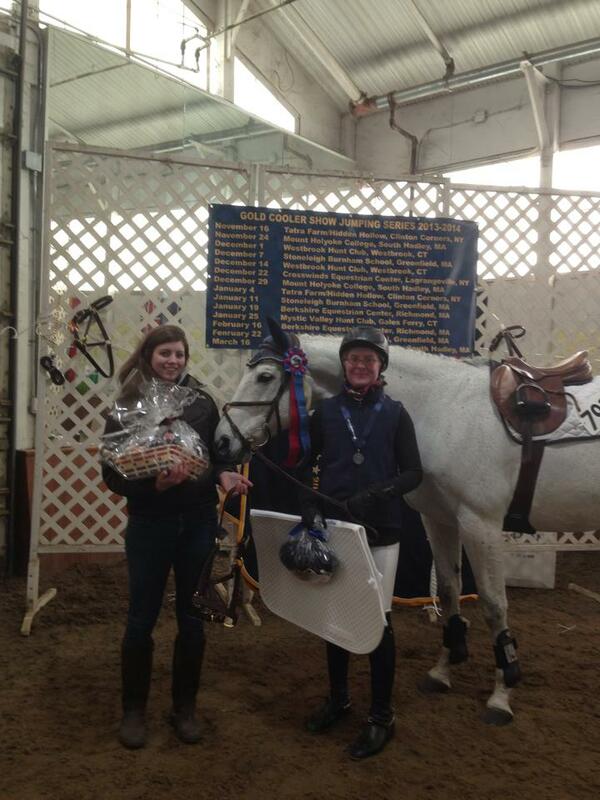 Kristen and Cirrus won the Championship and Ty on Storm Large won the reserve in division 2. 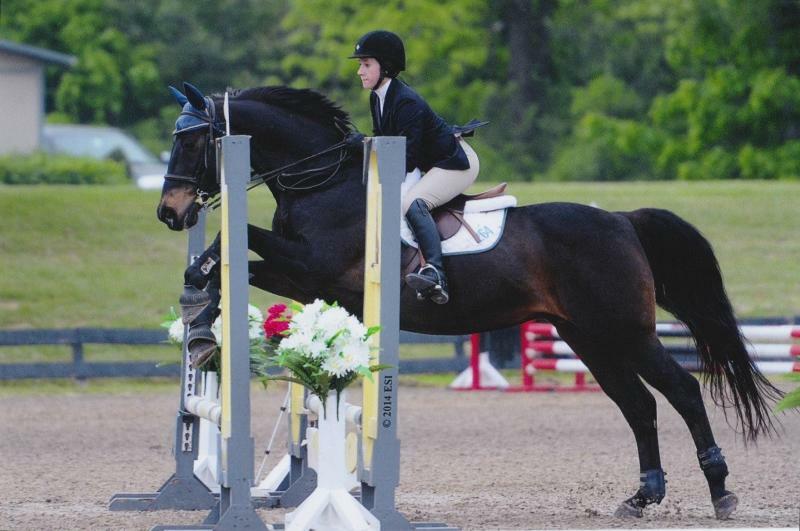 Kristen and Ty Slatterly made the trip to Crosswinds Dec 22 for the Gold Cooler Jumper Show. Ty and Storm Large were Champs in Division 1. Congrats! A great 2013 show season for all our riders ! Taylor Clayton and Jedi, Solene Rodrigue and Out and About, and Ayssa Benoit on Prince of Iron all won multiple championships at shows this fall. 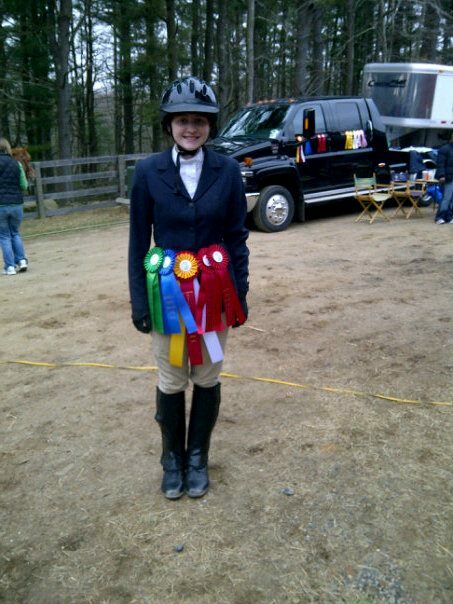 Kiera Gilbert was reserve champ at the Pines in Adult Mod Eq. 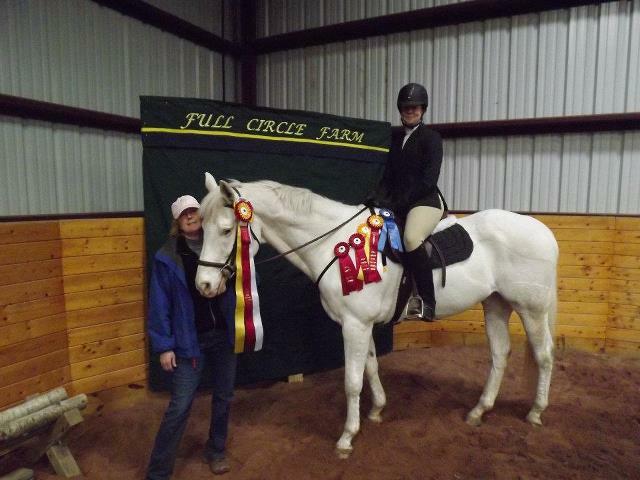 Congratulations to Jessica Lipponen and Eclipse (an FCF sales graduate) for their champiuonship at HITS. 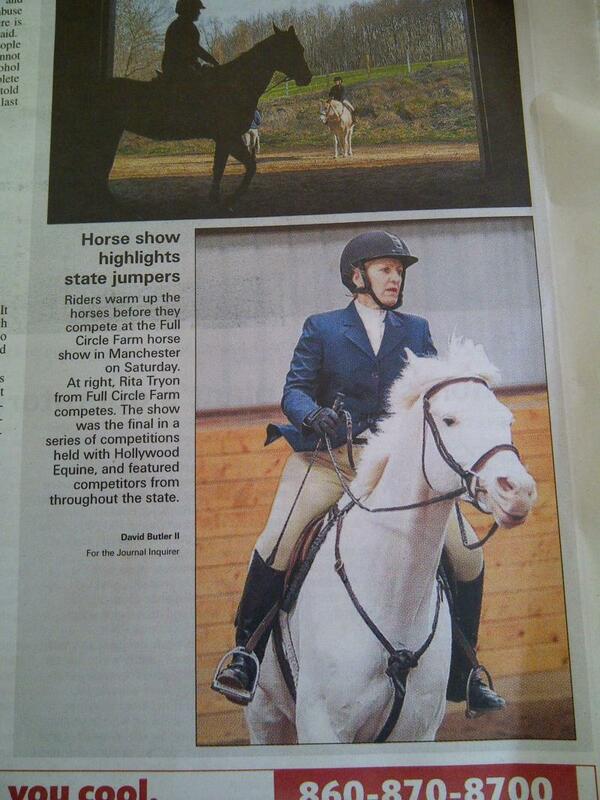 FCF riders are having a great show season. Catch all the results on facebook since there are so many successes at the three weeks at Westbrook and Sweetwater. Kristen Guadagnino and Leon won the Northeast Benefit Jumper Cllassic June 28, 2013 at Northampton. Terrific FCF Open Show on June 23rd. Thanks to all who help make these shows a success. 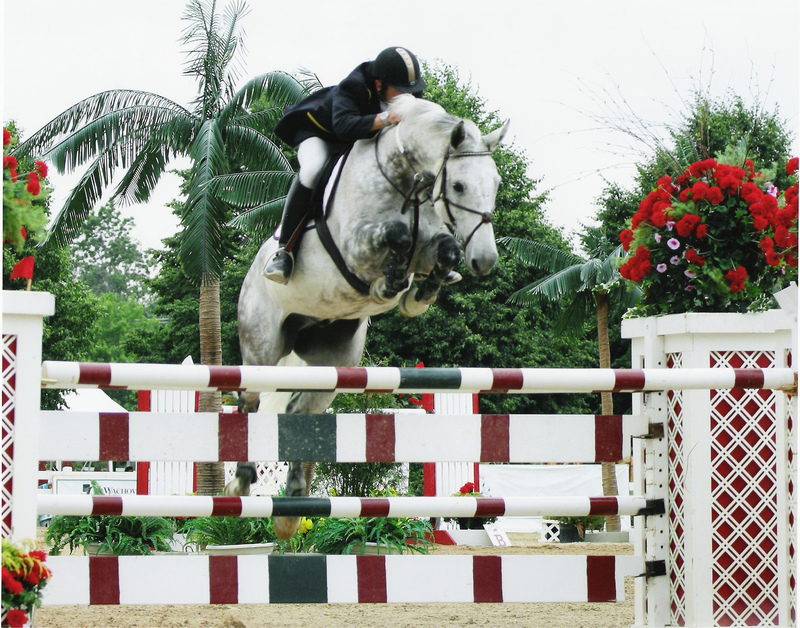 We offer great courses and jumps and have classes from walk/trot to jumpers. 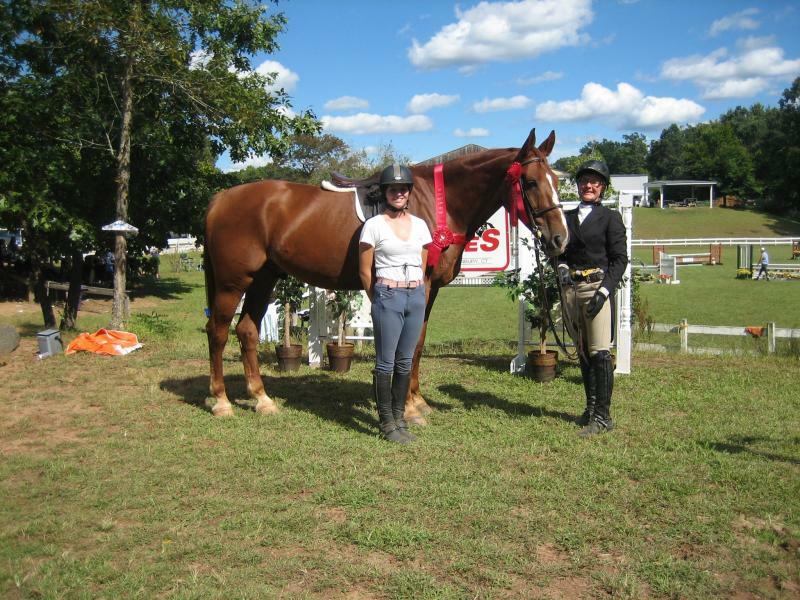 Kristen and Call the Tune won a second in the Hunter Derby. 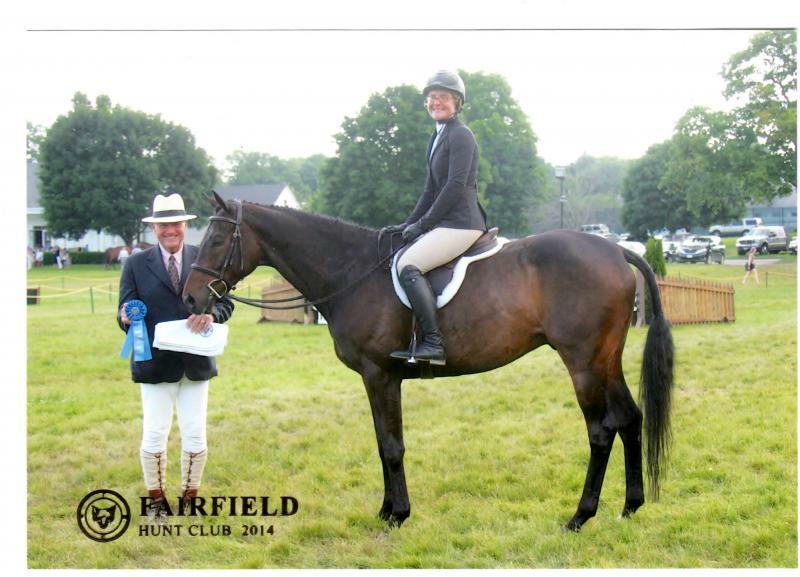 Both Call the Tune and Hiot Rod Lincoln came home with ribbons in the Non-Thouroughbred hunter classes. 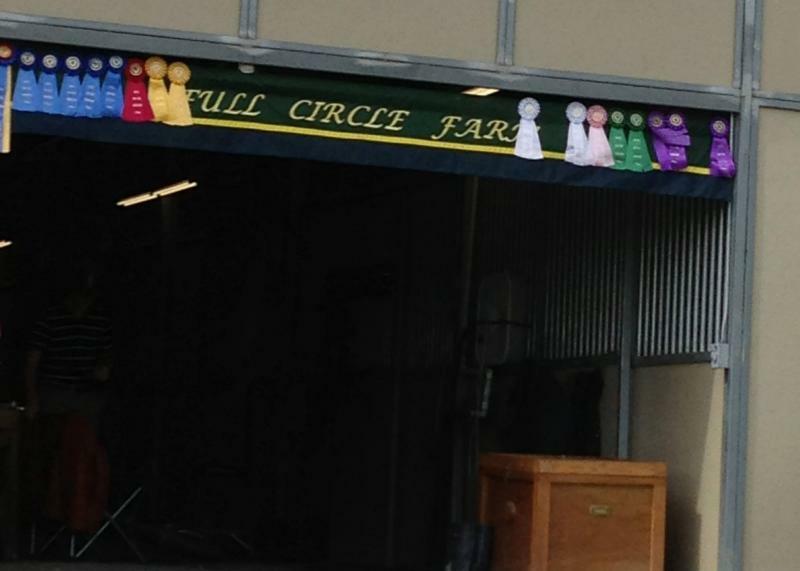 FCF riders have been busy competing in numerous shows this spring. The highlight, of course, was HITS Saugerties. Kristen and Brittany Strube rode Call the Tune to ribbons, Christine Connors on her horse, Hot Rod Lincoln, won the adult modified championship. Mike Hendricks and Daddy Longlegs had great rounds in the competitive jumper ring. Kristen and Leon on placed 4th in Level 3 and 1st 3rd and 6th with Call the Tune in the hunters.﻿Our last day brought Jess Dougan a blue ribbon on Leon in equitation and a 2nd for Britt ion Call the Tune. Great job by all of our horses and riders!!!!!! 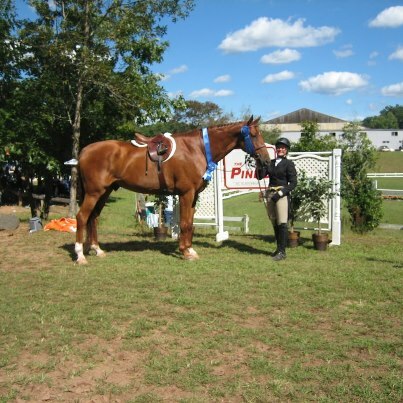 Successful weekend at Windcrest Farm Horse Show and Old Salem. 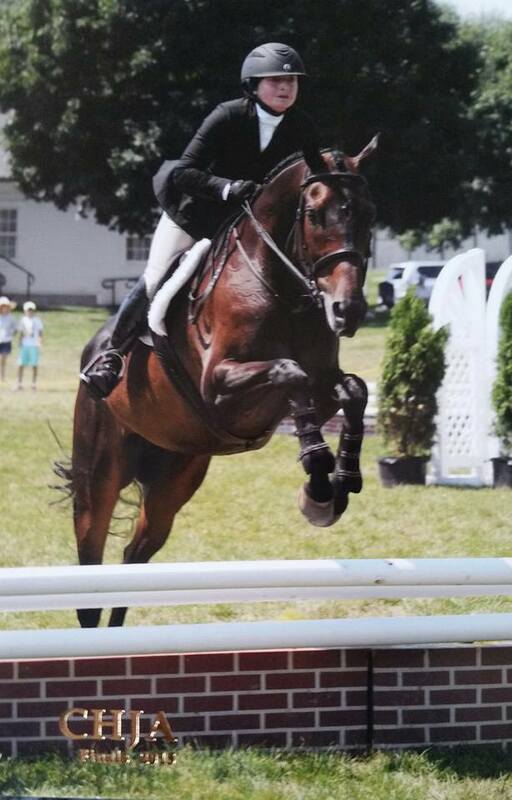 At Old Salem Farm, Mike Hendricks and Daddy Longlegs took home a championship in the jumpers. Tybal Slattery and Storm Large moved up in height and got some good ribbons in tough competition!﻿ Hot Rod Lincoln with Christine Conners and Kristen had wonderful trips in large classes. Congratulations on a good day.﻿ Thanks to Taylor Clayton and Isis Elkins for their help! Full Circle Riders had a great showing at Windcrest. Alyssa Benoit and Prince of Iron were champion in both of their flat divisions. Brittany Strube showed Call the Tune for the first time and had some good trips coming home with a blue . Alison Burns and Graf Grandeur had a good day. To make a great day better, Solene Roderigue and Out and About were champion in the Adult Modified division. ﻿Attend 2 of our 3 shows to qualify! Another great show thanks to the wonderful competitors! We also couldn't continue putting on these shows without our the help of our barn volunteers! Our next show will be outdoors weather permitting. 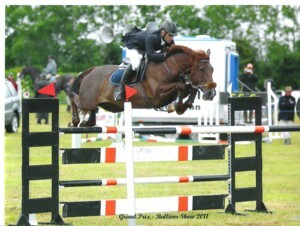 Our first show as a member of the Gold Cooler Jumper Show was a great sucess. Brittany Strube and TB Close Call are becoming the team to beat. Watch for them in 2013. Congratulations toJasmine Brooks on her partial lease of Santiago. When Jaz retired longtime mount, Trinket , Jasmine has a partial lease of Santiago,an appendix QH. With Jaz's unlimited patience, Santiago has made amazing progress and are they are becoming quite a team! Congratulations to Isis Elkins on her lease of Cirrus. When her longtime mount (Trinket)was retired, Isis, a long-time FCF student has recently leased Cirrus, one of our new lesson horses. Cirrus is thriving with her good care and thoughtful riding. Congratulations Isis! 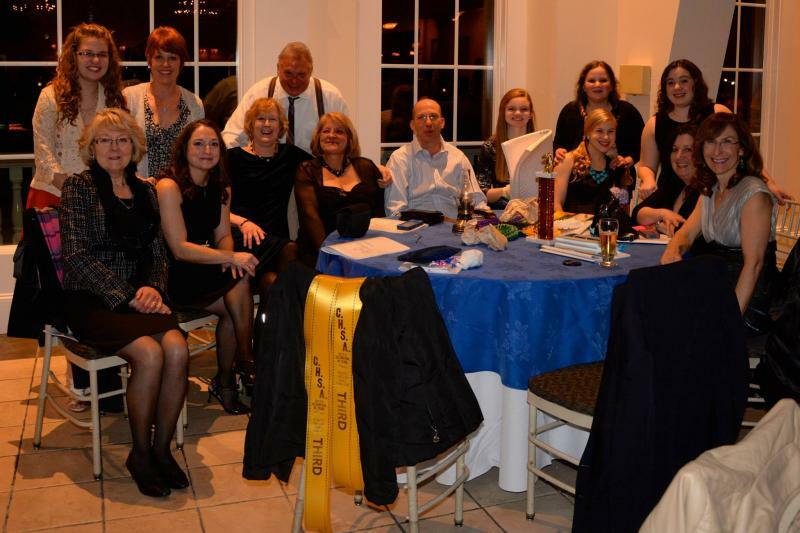 Thanks to all who made our Holiday Party on Dec. 15th such a great time. Happy Holidays to all and a successful New Year! Thank you Laura for a great clinic. 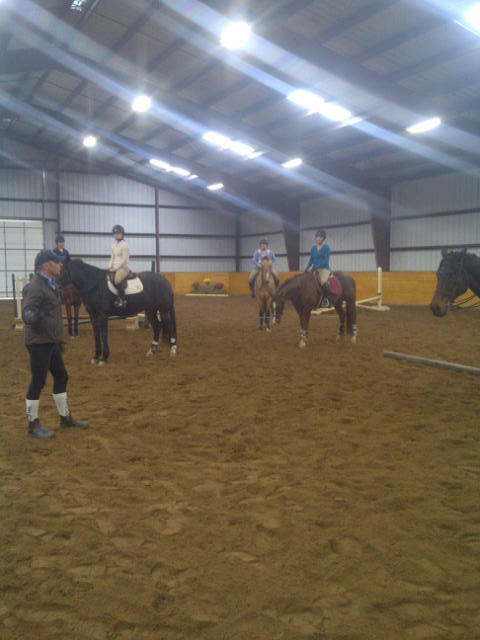 We had over 40 riders and the exercises benefited not only jumpers, but hunters and equitation horses and riders. We look forward to having Laura come to the barn again. Kristen Guadagnino and Call the Tune win the Pines Hunter Derby! and Riding Moose to second Place! Congraulations to all our series winners who received show coolers. Thank you to everyone who attended our shows. 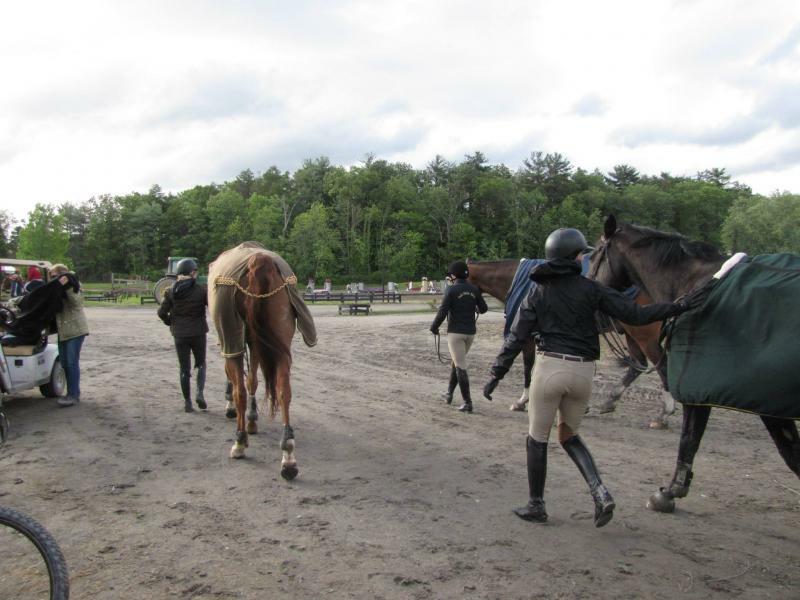 Our spring schooling show series was a huge success. We will be hosting a summer series, dates to be posted soon!! Great clinic with Derek McConnell. We are looking forward to seeing him again in the spring. Congratulations to Clayton Parrotta - CHSA Scholarship winner!. Full Circle had an early morning this past Saturday as we left in time to school before classes began at Old Salem . However, glad we did because everyone was great and had a good time. 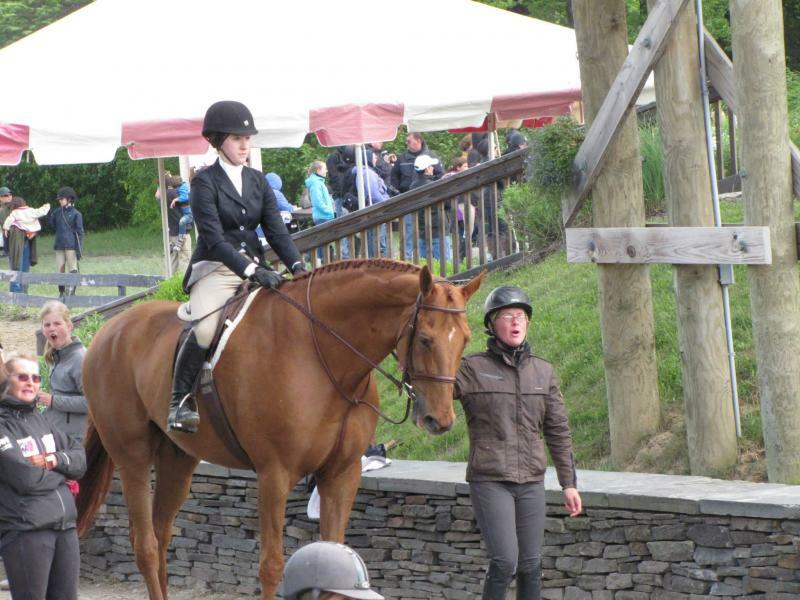 Becky Carey and Hudson Accord earned 7th in lows and 2nd in modified hunters. Alison Burns and Graf Grandeur were 5th and 8th in lows. Out and About owned by Solene Rodrigue was 6th in lows. Reina Willhide and Chance of A Lifetime were 4th , 4th in low and modified hunter flats and 1st , and 2nd in schooling hunter which was good enough for champion in that division. Then on Sunday, that was jumper day! Full Circle went to Mt. Holyoke for the next leg of Gold Cooler jumper series. Morgan Parrotta with Cirrus made another early morning ( time change!!!) worthwhile with her calm smooth turns and accurate lines. She earned 2nd in Division I Gold Cooler Class and then won the Power and Speed in Division II , also placing 4th in Division II Gold Cooler Class. 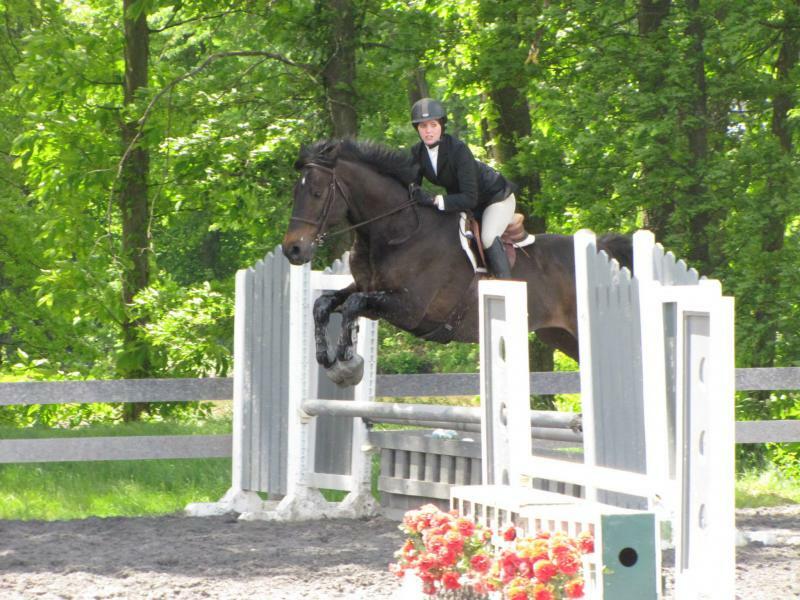 Rena Willhide and Leon at Mt Holyoke in the Jumpers! Great day at Shallowbrook. 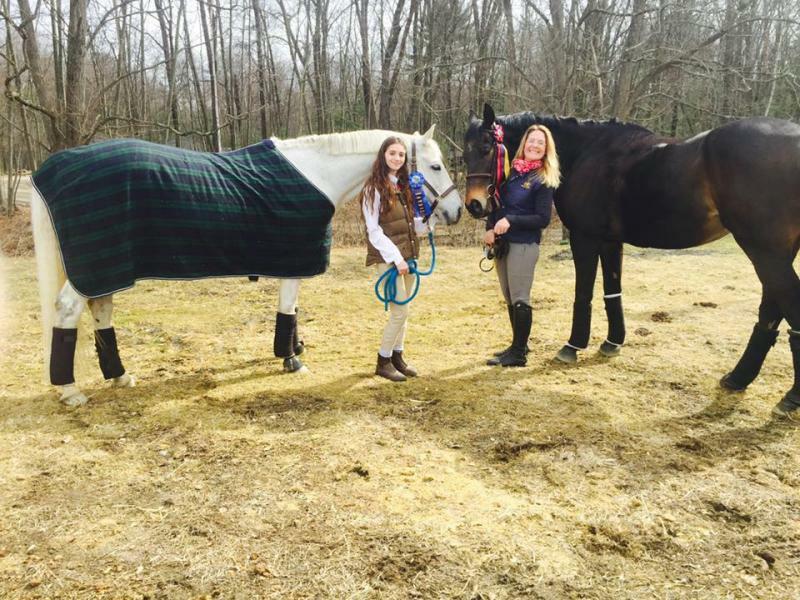 Championships for Alison Burns' Rohan and Graf Grandeur. Alyssa Benoit was Champion in Training Hunter. Reserve for Solene Rodrigue and Out and About in modified hunter. Reserve Champion for Britt Strube and Call the Tune. 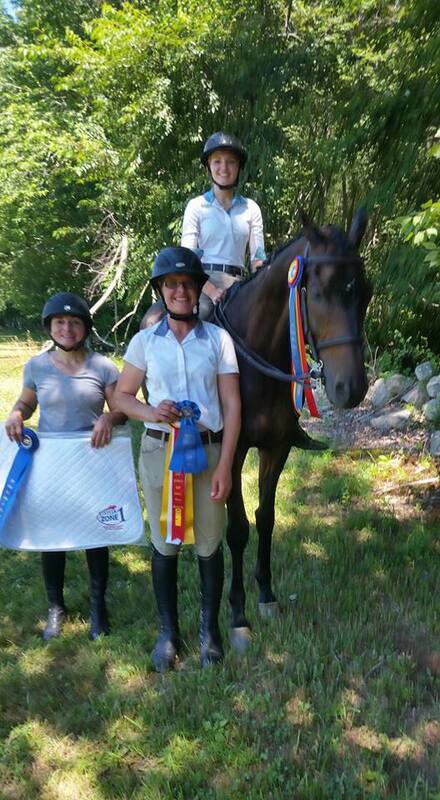 FCF riders competed at the Bethany Horse show on June 2nd. In the Modified Adult Equitation, Jessica Dougan was champion on Cirrus and Solene Rodrigue rode her Out and About to reserve . Tybal Slattery and Storm Large have moved up a division this year to training jumper. She rode exceptionally and placed 2nd 3rd and 6th. Taylor Clayton riding Jax was reserve champion in CT Training Hunter with Alyssa Benoit earning a second place! Alyssa and Prince of Iron also placed well in all her pleasure classes.